Whatever the cause, if you’re planning to upgrade and purchase another car, you’re probably going to be faced with deciding how to finance it. It’s not always an easy decision to make. Here are a few general pros and cons about the options facing you. Not commonly used with car purchases, due to the credit limit restrictions on most plastic. Typically this is also potentially one of the less cost-effective ways of financing a major vehicle purchase, unless you have a 0% interest deal and you pay off the balance before the end of the 0% period. In the old innocent days, this was a very common route. Assuming you were a customer of ‘standing’, you might have been able to secure a car loan with some ease. However, people much under the age of 40 probably won’t remember such times. Today, banks are much less inclined to freely lend on anything, including car loans. Some people might also want to keep their car repayments private and not visible to their banking service centre. Banks also can take time to think about a loan and whether or not they’ll approve or reject it. That’s not always desirable if you need to move fast. As you might have noticed, some dealerships and garages seem more interested in selling finance than the cars on their forecourt. That’s understandable in a sense because they’ll typically be getting some form of commission or other incentive to sell you that finance. True, this has the attraction of being ‘one stop shopping’. On the downside though, the business of your car financing then becomes inextricably mixed-up with the business of selecting your vehicle and driving a hard bargain on it. It’s not always easy to take a tough bargaining position on the car price if the person you’re haggling with is also the one lending you the money in the first place! You may also find that their financing is limited to vehicles they have in stock or even certain models they’re ‘pushing’ to try and clear them out. Furthermore, they’re not always receptive to applicants with a bad credit history. 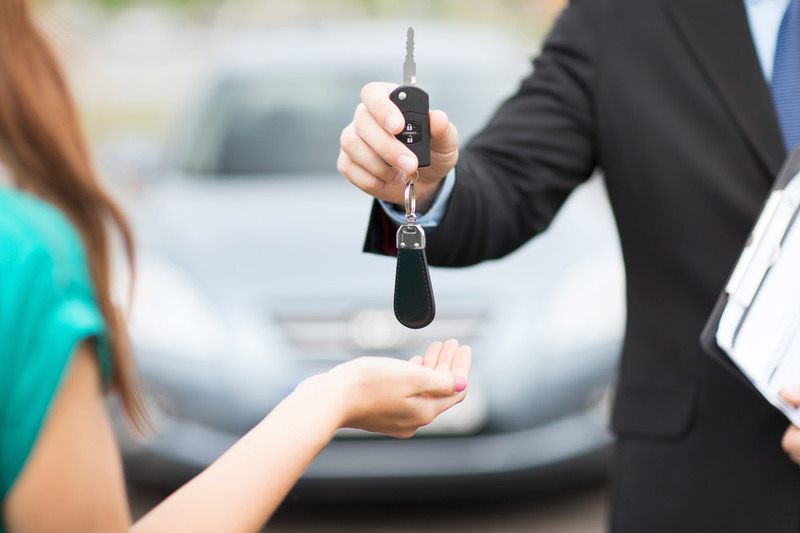 Over recent years, a new breed of specialist finance company has arisen and they major on providing car loans. Basically, you can make an easy online application and typically you’ll get an answer in a few minutes. So, you’ll have the speed you need. The big attraction here though is that having the equivalent of cash in your pocket puts you firmly in charge when you’re out there trying to source a vehicle. You can drive the very hardest of bargains as a cash buyer and if you don’t get the deal you like from the vendor, you simply walk away and go elsewhere. Perhaps one of the biggest attractions of these specialists though is that they’re typically more sympathetic to applicants with defaults and CCJs etc. Do be realistic though – if you have a poor credit history then the reality of life is that you’re going to probably have to pay a little more for your car loans than someone who doesn’t. So, which is for you? Ultimately only you can decide. Don’t get stuck in the rut though of thinking that car loans are only available via the old, tired and traditional channels or that you’re excluded because of your credit history. That might not be the case. This entry was posted in Credit Cards and Loans. Bookmark the permalink.